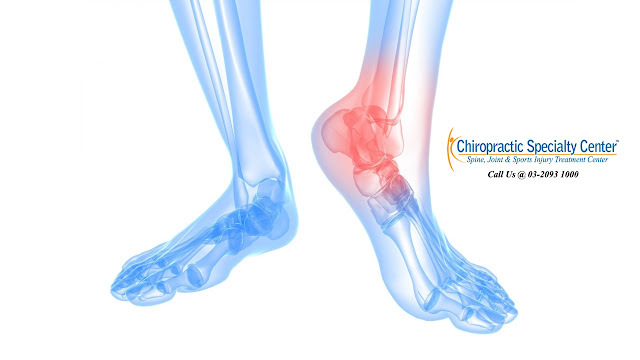 Achilles tendon damage occurs as a result of an excessive load applied to the Achilles’ tendon, either in a single episode or over a period of time. Midportion and insertional Achilles tendinopathy have different prognosis and response to treatment. Hence, it is important to distinguish between the two diagnoses. Macroscopic discontinuity of a portion of the tendon is known as a partial tear or rupture of the tendon. These tears do not normally occur in normal tendon tissue. These tears are most likely found in a region with pre-existing pathology such as collagen fiber disarray and they show increased blood supply without signs of tissue repair. There are a few risk factors that predispose patients to Achilles’ tendon injuries. People with years of running history are more likely to have chronic Achilles’ tendinopathy. A sudden increase in the intensity of activity including distance, speed and gradient of the activity may increase the risk of injury. A decrease in recovery time between training sessions may result in symptomatic Achilles’ tendon injury. A change of running surface or foot wear with lower heeled spike or shoe with heel tab may cause damage to the Achilles’ tendon. Poor foot wear with inadequate heel counter, increased lateral flaring or decreased forefoot flexibility will put more stress on the Achilles’ tendon. Poor muscle flexibility of the calf muscles such as tight gastrocnemius can increase the load applied to the tendon. People with excessive pronation will result in excessive load applied on gastrocnemius to supinate the foot for toe-off. Restricted dorsiflexion of the ankle or a weakness in the calf are the risk factors too.